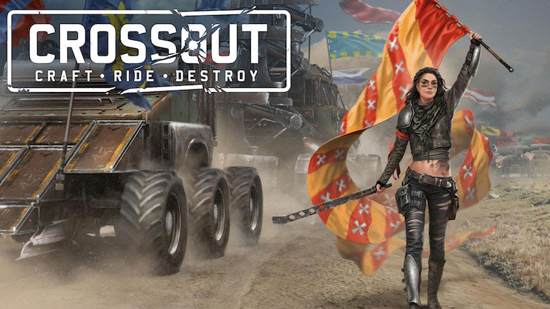 Knight Riders event in Crossout, its post-apocalyptic MMO action game. The Knechte faction arrives in the wastelands for a couple of weeks and introduces new weapons and hi-tech parts for vehicles. From September 20th to October 9th players can earn ‘talers’ in a special mission and spend them for the new items in the Knechte shop. One of the most exciting parts brought by the knights is the coupling module “Contact 2M”. This device lets players attach vehicles to each other. If you always wanted to modify the weapons and systems on your car but lacked energy or engine power – share this duty with your teammates! One vehicle can carry long range guns, another one can take mid range weapons, and they can connect to a third one, which will provide them with the necessary speed and defence in close combat, with chainsaws and flamethrowers. Create the most incredible combinations and compete in team battles with other inventors! 200-kilos revolver “Corvo”, who’s last shot deals triple damage. Plasma emitter “Helios”, that gives additional damage if all the shells within the same burst hit one target. Shotgun “Nidhogg”, which gets more power, depending on the speed of the vehicle. The faster it goes, the more hurtful it will be for the enemy. Radar “Oculus VI”, will warn the player about the enemies that can’t be seen. The sensor turns toward the hidden enemy, flashes and beeps. With this invention, nobody can take you by surprise! To craft these items players will need a special knight’s workbench, which they can rent for talers. These coins can be earned in the ‘Knights of the Wasteland’ PvP mission. The reward depends on the effectiveness of the player during a battle.